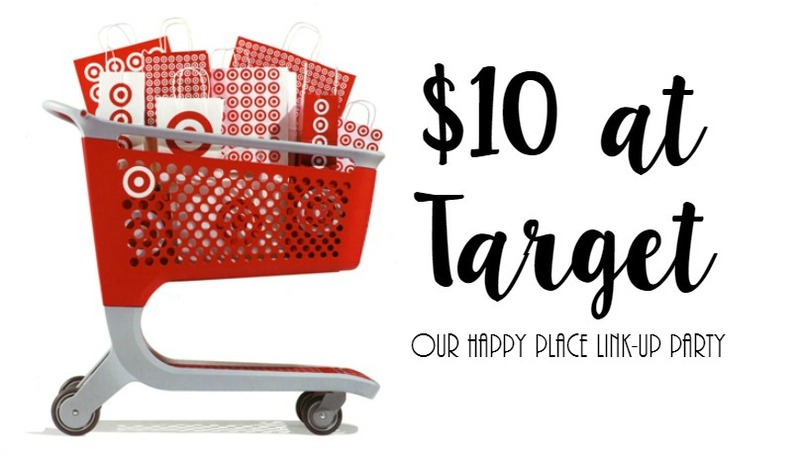 Welcome to $10 at Target! Each month a group of ladies and I go the place of the red bulls eye and see what $10 can get us! We always link up on the third Monday of the month. Feel free to join us! As always, I start out with some things I didn't buy. The dollar spot was hoppin! They had a ton of card games. Though I didn't get them because we have some, they would make great stocking stuffers! Mistletoe?? I think the mister would have appreciated it if I'd gotten it. Maybe next time! We enjoy bicycling and so I almost snagged this towel. So cute! I have a big old tassel on my keys and it makes them so easy to find in my purse! These would make great stocking stuffers too! I had to crack up at this mask! It LOOKS like a unicorn on your face! How fun would that be? This was out of the $10 budget, but so fun! They had some clearance fall decor, and I really loved this wreath! And these pumpkins?! If they mark them down again I'll probably grab some for next year. And last, mini Real Techniques brushes! I love this brand of brushes! So... What did I end up with? These napkins were just a buck and the will be fun for around home the next couple weeks. I also picked up these two trees for my bathroom. The big one was $5 and the smaller one was $3. So all together I spent $9. It was a fun trip! Now it's time for you to link up or check out other posts!